Who wins and who loses in the event of a rate hike from the central bank? 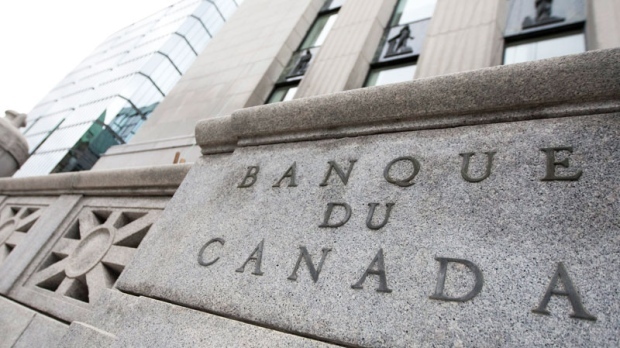 TORONTO — Another month of solid growth for the Canadian economy in April and upbeat survey results from the Bank of Canada have strengthened expectations that the central bank will soon begin increasing interest rates for the first time in seven years. Higher borrowing costs would have far-reaching implications for average Canadians, rate-sensitive industries and the broader economy. Below is a breakdown of some potential winners and losers. With the Bank of Canada keeping its main policy rate near rock-bottom levels since the 2008 financial crisis, Canadian banks have found their net interest margins — the difference between the money they earn on the loans they make and what they pay out to savers — under pressure. “As interest rates have continued to decline, they couldn’t lower their funding costs anymore,” says Barclays analyst John Aiken. For example, the banks fund much of their lending via deposits, and they don’t want to reduce the interest rate on savings accounts to below zero, Aiken notes. Rising rates will alleviate some of that pressure on their net interest margins. Another sector that’s poised to benefit from rising rates is the insurance industry. Life insurance companies have liabilities that are very long term in nature, but their investments tend to be for much shorter terms. “Therefore, in a rising interest rate environment, you actually get more return on your assets as they reprice than what you had originally factored in when you wrote the contract,” says Aiken. That being said, the major Canadian life insurance companies have a greater exposure to U.S. interest rates than to Canadian ones, Aiken notes. Homeowners with outstanding mortgage debt are likely to see their monthly payments rise — but only by a little. Rob McLister, the founder of RateSpy.com, says that if the big banks boost their prime rates by a quarter of a point, the typical variable-rate borrower will see their monthly payment go up by about $24. That’s based on an average mortgage of around $201,000, with an average rate of roughly 2.15 per cent, an average contracted amortization period of 22.4 years and a remaining amortization of somewhere between 14 to 19 years. “One or two rate hikes alone won’t derail the housing train or economy. Nor will it cause a material uptick in defaults or real estate listings,” McLister says. Those with money stashed away in a savings account may not see much of the boost in the event of a rate hike. That’s because the banks are likely to increase the interest rates on loans, without providing a corresponding boost to the rates they pay on savings accounts, says Aiken. However, the yields on many fixed-income instruments — such as GICs and money market funds — will likely increase. That’s good news for pensioners and others invested in fixed income assets. Defined-benefit pension plans calculate how much money they need to be sure they can pay their promised benefits using long-term bond rates. The lower the interest rates, the more money companies need to put into their pension plans. A rise in long-term bond yields will reduce the amount defined-benefit pension plans need to hold today to pay future benefits and ease the burden on the companies that offer them to their workers. Higher interest rates are bad for governments, which tend to be net borrowers and therefore will have to pay more to service their loans. More tax revenue being spent on debt interest payments means there is less available to spend on programs such as education and health care.